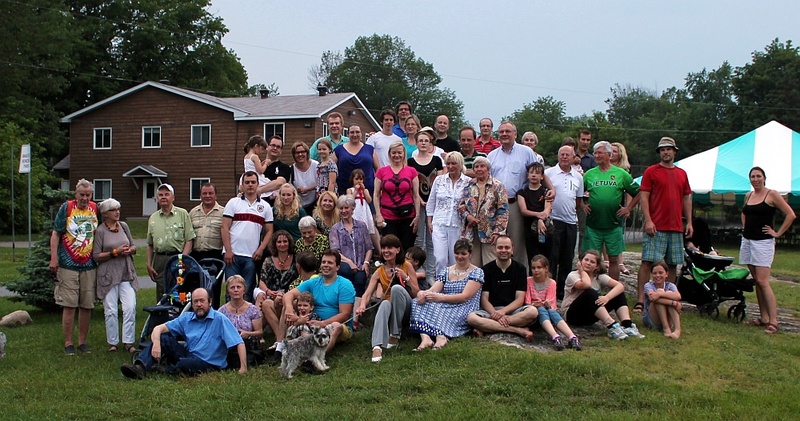 There was a Christmas party on the 15 of December, 2013 at the Peace Latvian church. Students of Lithuanian school "Vyturėlis" presented Adventures of Little Red Riding Hood and her Little Brother on Christmas Eve. Santa brought presents to Children. Ambasador Vytautas Žalys wished everybody Merry Christmas and a Happy New Year. Everybody enjoyed pot luck treats. A lottery took place where many lucky ones won nice prizes. It was a nice party. 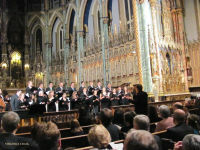 The Delegation of the European Union and the Diplomatic Missions of the EU Member States presented The Christmas Concert on Friday, December 6, 2013 at the Notre Dame Cathedral Basilica in Ottawa. 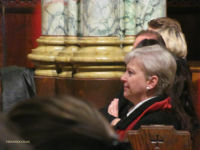 Her Excellency Marie-Anne Coninsx, Ambasador of the European Union to Canada, welcomed the audience and thanked everybody who helped to make the concert happen. 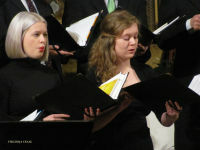 Concert featured European Christmas carols and songs sung by Ottawa Children's Choir, Chorale De la Salle and Calixa-Lavaillee Choir. 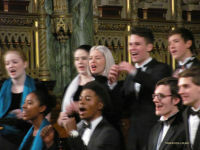 Three African songs were performed as a tribute to the memory of Nelson Mandela. At the very end of the concert all choirs together with the audience sang Franz Gruber's Stille Nacht. The concert was festive and Christmassy. Ottawa's Lithuanian community and school "Vyturėlis" invite you to the Christmas celebration. Find out details in PDF file. Ottawa and Montreal Lithuanian communities together with the Lithuanian Embassy in Canada organized a St. John (Jonines) celebration in Ottawa on June 23. Special thanks to Montreal Lithuanian Credit Union "Litas" for their support in organizing the Montreal community trip to Ottawa. Space was provided by Venta Preparatory School, founded in1981 in Ottawa after by dr. Agota Šidlauskaitė, who also participated in the event. 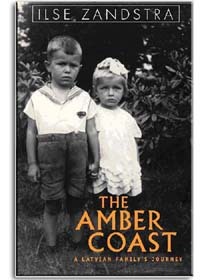 Ilse Zandstra has recently published a book called "The Amber Coast: A Latvian Family's Journey.” It is a work of creative non-fiction about her extended family, before and after World War II, how they fled Latvia ahead of the Soviet advance and where they ended up (Germany and Sweden) before immigrating to Canada and the United States. She believes that the Lithuanian and Estonian experiences are very similar and that these stories should be made known to a wider public who know very little about civilian suffering in Eastern Europe at that time. Her book is historically accurate, based on documents, letters, interviews and research. If you would like to know more information, please visit her website, www.theambercoast.com. The book is for sale ($20) and it can be ordered directly from the author or online. Jeigu Jums yra svarbus lietuvybės išsaugojimas, jeigu norite pagelbėti skleidžiant ir puoselėjant lietuvių kalbą ir kultūrą, jeigu norite perduoti šias vertybes savo vaikams – lituanistinė mokykla Otavoje « Vyturėlis » laukia Jūsų! Pamokėlės vysta du kartus per mėnesį, mes renkamės sekmadieniais po pietų Latvių bažnyčios salėje. Vaikų amžius neribojamas, lietuvių kalbos žinojimas yra nebūtinas. Mūsų tikslas – turėti galimybę susiburti, smagiai praleisti laiką bei pasimokyti lietuvių kalbos ir kultūros! Mielai kviečiame prisijungti prie mūsų nedidelės, bet labai energingos mokytojų ir mokinių komandos!